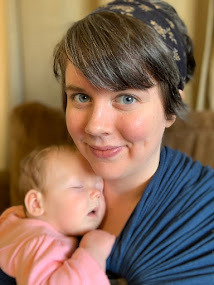 A lot has been going on in my life lately (mostly resulting from things done during July: The Month of No Fear), so much that I'm behind in writing about it. 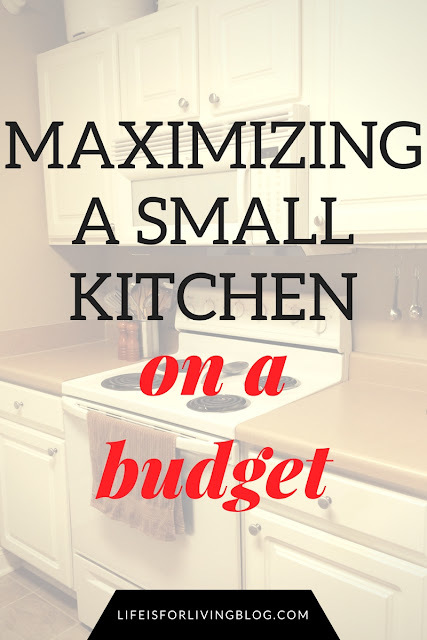 Recent life experiences have given me about 200+ ideas for blog posts that I want to write. Along with the big things, there have also been a lot of little random happenings that I wanted to share with the world. Please enjoy the following randomness. 1. An Encounter with a Friendly, Generous Stranger at the Honda Dealership. Jessica and I took the Civic in for an, er, slightly overdue oil change. As we were sitting in the waiting room at the Honda dealership, a tall, quite rotund, older gentleman in a blue Honda polo and khakis approached us. "Would you two ladies like some watermelon while you're waiting? We just cut up a big one back in the breakroom." Growing up, my mom told me about ten thousand times to refuse offers from strangers, especially strange men, especially strange men offering food. And normally, I'd be too shy to say "yes" because it seems rude to take free food from other people in the first place, who are probably only asking to be nice and don't really want to share their things. But it was around lunch time, and the man seemed so jovial and friendly and sincere. At his insistence, we accepted his offer, and he waddled away and disappeared behind the counter. He returned in a couple of minutes, smiling brightly, with two giant pieces of fresh, cold watermelon, complete with forks, napkins, and even salt (because apparently, some people salt their watermelons). 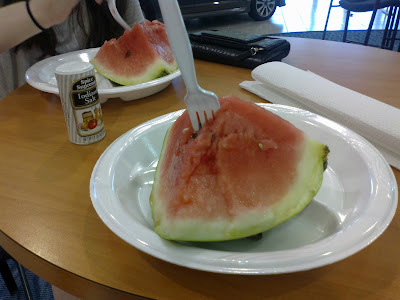 He showed us to some tables in the lobby and left us alone to enjoy the melon. Not once did he try to sell us a new car! His attitude and his free watermelon made my day. 2. The Ultimate Doctor Who Experience. This summer, I've successfully hooked my sister on Doctor Who. We started with episode one, "Rose", and now, five seasons later, we've made it to the Matt Smith era. My favorite. Yay! I found some Jammie Dodgers at Publix in the British section of the international foods aisle (I love Publix!). The Eleventh Doctor has a thing for Jammie Dodgers, so I felt it was necessary for a proper viewing party. 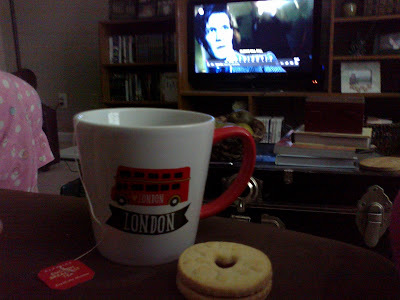 I fixed a nice cup of tea in my London mug and sat down to watch the next episode. Tada! (Also note Jessica's pink dotted pajama pants on the left side of the photo; pajama pants are also a necessity). 3. 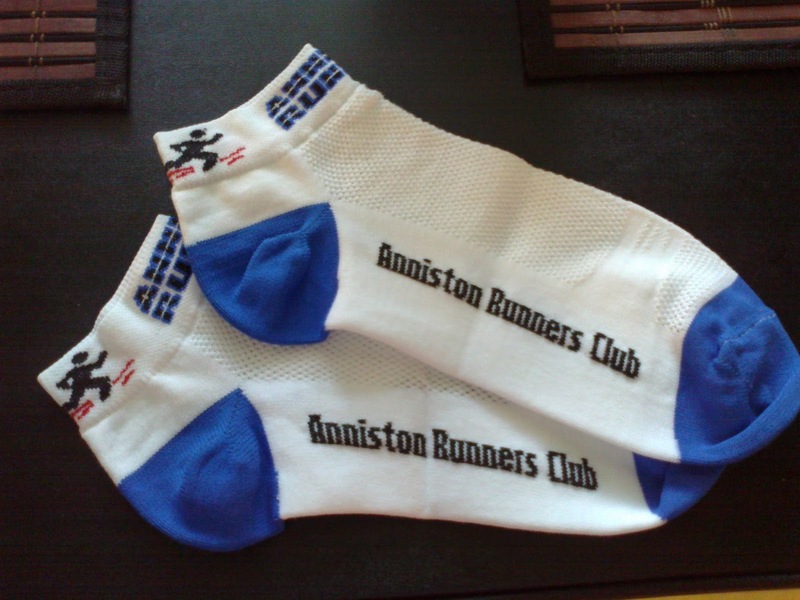 Anniston Runners Club Merchandise. 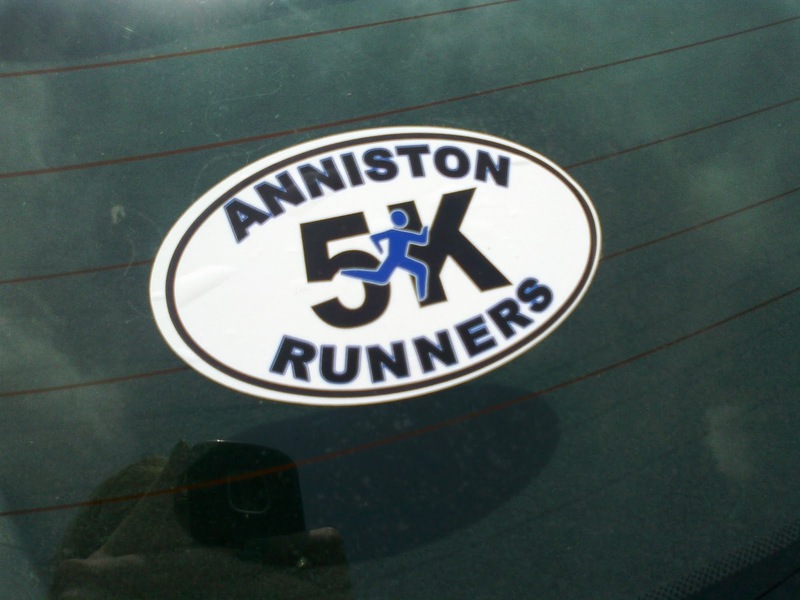 The Anniston Runners Club, which I crazily joined in July, had a booth set up at the packet pick-up for Woodstock. They had all sorts of cool merchandise for sale at clearance prices. I thought I could really motivate myself by getting a shirt with their logo on it; nobody wants to halfway workout while sporting the ARC logo across their chest. But alas, they were sold out of everything in my size. Except for socks. So I got the socks. I can always use more socks, anyway. And these are some pretty professional-looking ones! I also got a 5K sticker to put on my car. I felt I had earned it after running most of Woodstock this time. 4. Weird Kitty Needs a Name. Yet after all that personality, she still doesn't have a name!!! 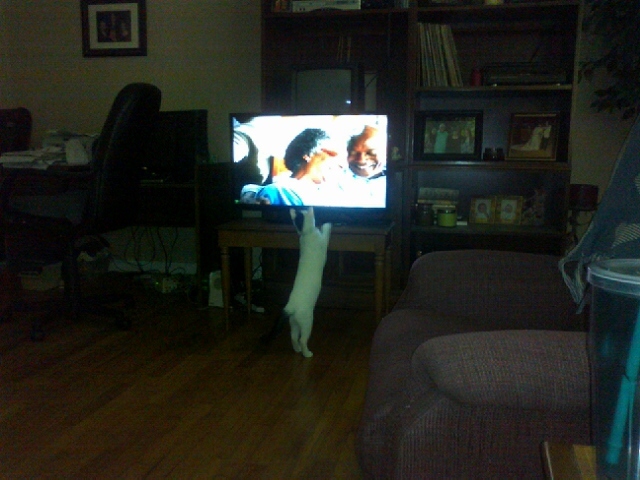 It's been over three months since we got her, and she's still "The Cat". Nothing seems to fit. Any ideas??? 5. A No-Heat Curl Technique that Actually Works! 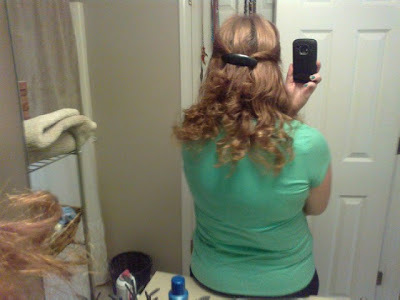 Twisted with a hair clip. 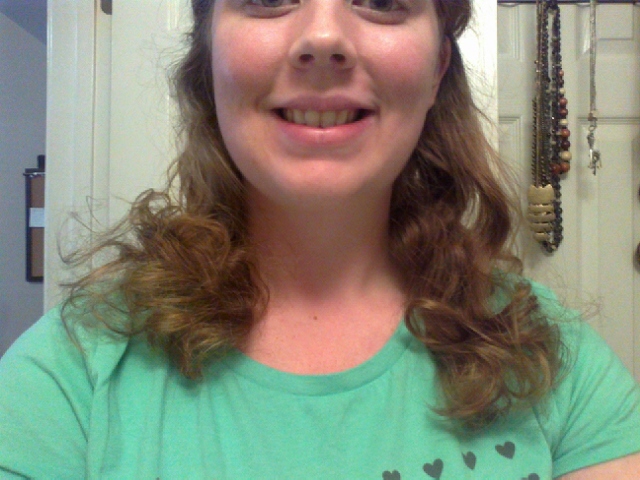 Messy curls, yet curly for sure! The results were even better than what I get with a curling iron, so I was really impressed. I will definitely try it again, maybe with more socks. And I need to figure out how to make the curls be at the top of the hair also, because as you can see, it only curled the bottom half. Still, really easy and effective! A month or so ago I had to take my car in to Toyota for a minor recall on a part, and they had so many fancy goodies for people waiting. I had a ride waiting for me so we could run errands while they fixed my car, but I won't lie, I kind of really wanted to stay there and enjoy the free snacks and comfy couches. I never realized car dealerships were such an awesome place to go! Haha! My tip for the cat, she NEEDS to get a name asap! My older sister got a cat once and never got around to picking a name... to this day we still call her "Black Kitty." And it's sad. We always name our pets random things, my cat is Tomato, my sister's cat is Bonnie Belle. Maybe after a favorite character in a book or movie? (for instance, we named our dog Bauer after Jack Bauer in 24). The curls are so cute! I love finding good ways to enhance my natural curls without heat. I've never tried the sock method though, I'll have to check it out. Super adorable! I got sucked into Whoville a couple weeks ago. A friend of mine was allllways talking about it. He convinced me to start it and i LOVE it. It's soo good! 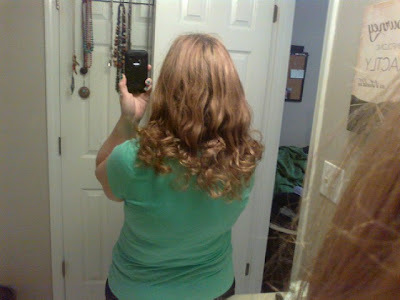 Not to mention that curling method looks SO cool the night before. lol...and apparently not only are pajama pants a necessity, but pink polka-dotted pajama pants are a necessity because we have matching ones. Haha. Wow, maybe next time I'll get a Toyota! I didn't know these places offered free snacks for their customers. That's great! Oh yeah! Socks dangling from my hair like a confused little house elf! Do you like how I didn't post a picture of that? And actually, I no longer have my pink polka-dotted PJ bottoms. I gave them away because they were too big! We need to go shopping for some new matching ones, maybe? Goodbye, Month of No Fear; Hello, August!